587 – St. Brendan the Navigator, early transatlantic voyager, dies. In the liturgical calendar, today is St. Brendan’s Feast Day. In 484 Saint Brendan was born in Ciarraighe Luachra near the port of Tralee, in County Kerry, in the province of Munster, in the South West of Ireland. He was baptized at Tubrid, near Ardfert, by Saint Erc. He spent his first year with his parents, then he went to the home of the local chieftain, Airde mac Fidaigh at Cathair Airde in Listrim, three miles to the East.He returned to his family at the end of his fifth year and completed his studies under Saint Erc, who ordained him priest in 510. Between the years 510 and 530 St Brendan built monastic cells at Ardfert, and, at the foot of Mount Brandon, Shanakeel— Seana Cill, usually translated as “the old church”— also called Balynevinoorach. From here he is said to have set out on his famous seven years voyage for Paradise. 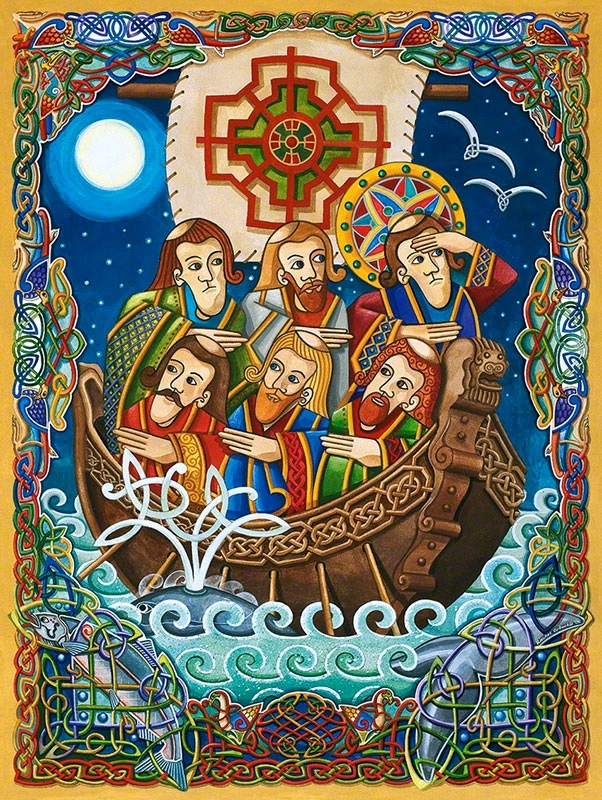 The old Irish Calendars assigned a special feast for the “Egressio familiae S. Brendani”, on March 22; and St Aengus the Culdee, in his Litany composed at the close of the eighth century, invokes “the sixty who accompanied St. Brendan in his quest for the Land of Promise”. One of these companions is said to have been Saint Malo, the namesake of Saint-Malo in Brittany, France. If it happened, this would have occurred sometime between 512-530 AD, before his travel to the island of Great Britain. On his trip, Brendan is supposed to have seen St. Brendan’s Island, a blessed island covered with vegetation. He also encountered a sea monster, an adventure he shared with his contemporary St. Columba. At the United States Naval Academy in Annapolis, Maryland, a large stained glass window commemorates Brendan’s achievements. 1945 – Eamonn De Valera responds to Churchill’s comments of 13 May where he criticised De Valera’s decision to maintain Ireland’s neutrality during the war.